Efamol Brain is a diet supplement which has been lately brought into the market in order to support better health in the body of the users. It is featuring some notable ingredients when it comes to enhancement of the functioning of the brain among people. With enhanced performance of the brain one may be in a position to overcome heavy duties and complex tasks with a lot of ease. There shall also be better boost in the processing of information that may be gathered in the course of the day by relying on this formulation. Here is a closer look at the beneficial formula. Who is the Manufacturer of Efamol Brain? The company which is making this supplement is known as Efamol. Ltd. This is a company which is working on the supplements formulation with the aim of enhancing the functioning of the brain among the clients. 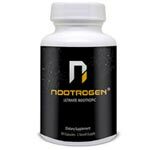 It is one company which is keen on the health of the users and is thus resorting to natural ingredients in order to give optimal and sustainable support in the brain functioning of the users of the supplement. It is delivering most of its products all over the world to support the health of the users. In addition to these, the company is also concerned about the welfare of the users of the products and is making follow up through customer service. How Does Efamol Brain Work? The formula is specifically releasing the beneficial omega-3 and omega-6 nutrients into the body for better health support naturally. These are enhancing the brain to get better health and once the brain cells are well nourished, there would be boosted clarity of memory and related functions of the brain will be boosted. There is also support in protection of the brain cells through the inclusion of the vitamin E which is serving the role of regulating the levels of free radicals in the body to keep the brain healthy. These workings are combined together in the formulation for the users to gain maximum support. Efamol Brain Ingredients – Are they Safe & Effective? Fish Oil – This is having the omega-3 nutrients including DHA and EPA which are key in enhancement of the functioning of the brain when used in the body safely. Primrose Oil – This is an essential oil in nourishing of the brain cells in order for better cognitive boost to be attained. Vitamin E – The vitamin gives the body of the users better protection for enhanced natural support in the body. Thyme Oil – This is enhancing the ability of the body to maintain calmness and clarity in the brain and its functioning. What are the Advantages of Efamol Brain? There may be good serving of DHA in the brain hence better health support and attainment of enhanced brain performance. The users may notice better mental clarity and brain health. The flow of blood to the brain may be boosted hence better nourishment with oxygen and nutrients. One may enhance the performance and accuracy at work hence lowing chances of fatigue. What are the Disadvantages of Efamol Brain? There might be just an over-board levels of DHA in the supplement which may not be supporting the body that much in mental health. Results from the usage of this formula may be imperceptible. The primrose oil in the supplement may not be giving any major support. The supplement may not fit those who are allergic to fish products and sea foods. How Should You take Efamol Brain? Four capsules for those over 5 years old. Those between 3 and 5 years should consume 2 to 4 capsules per day with drink or food. How Much Does Efamol Brain Cost? The price of the supplement has been stated in the retail stores as $15.63. This price does not include the shipping charges. 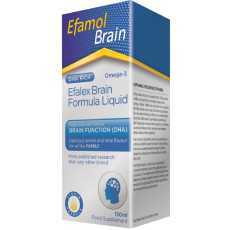 What is Efamol Brain Return Policy? Only valid product complaints will be accepted. The complaints should be made via e-mail and there shall be no charges attached. Does Efamol Brain Offer a Free Trial? There is no free trial offer on the supplement Efamol Brain hence users may be expected to pay for it in order to benefit. 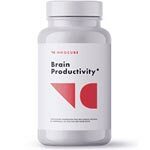 This is a brain supplement which may be giving enhanced support to the brain especially when consumed as instructed. It may be supporting the lifting of the focus and could also lead to better functioning of the memory. Some users may also notice enhanced mood and energy levels in the body. On the other hand, there may be some demerits featuring on the formula such as reduced relevance since it may give imperceptible results in the body. It may also show no support to those who are allergic to fish products specifically sea foods and may not give a desirable taste in the mouth for users hence some users may consider looking for other formulations.